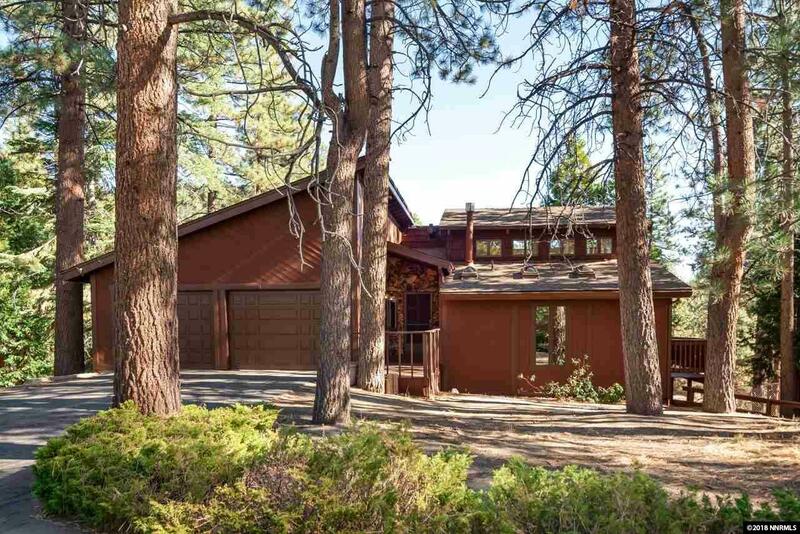 Situated on a quiet Cul-de-Sac this mountain home offers four bedrooms, three baths, a spacious loft, two car garage and over 2500 square feet of living space. Large open kitchen with garden window, skylights & built-in breakfast bar. The living area boasts vaulted open beam ceilings, wood burning fireplace and a wall of windows for natural light. The master bedroom is located on the main level for easy access with the remaining three bedrooms downstairs.